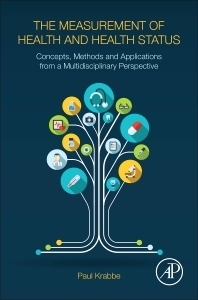 The Measurement of Health and Health Status: Concepts, Methods and Applications from a Multidisciplinary Perspective presents a unifying perspective on how to select the best measurement framework for any situation. Serving as a one-stop shop that unifies material currently available in various locations, this book illuminates the intuition behind each method, explaining how each method has special purposes, what developments are occurring, and how new combinations among methods might be relevant to specific situations. It especially emphasizes the measurement of health and health states (quality-of-life), giving significant attention to newly developed methods. The book introduces technically complex, new methods for both introductory and technically-proficient readers. Paul Krabbe is an expert in (subjective) health-outcome measurement methodology, in particular ‘health-related quality of life’ (HRQoL). He earned his PhD at Erasmus University in Rotterdam.